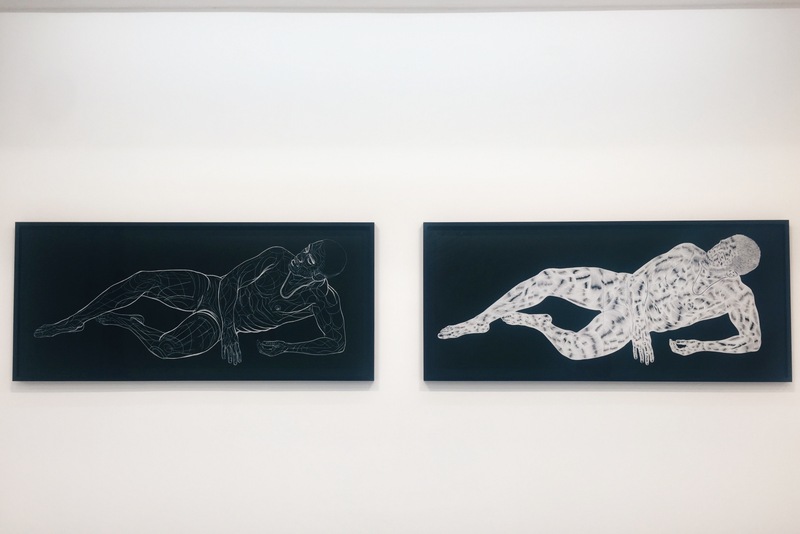 At Jack Shainman Gallery, Toyin Ojih Odutola‘s show of new drawings Of Context and Without (on view from December 11, 2015- January 30, 2016), explores, disorients and delineates the human form in chalk, marker, pen and ink. Ojih Odutola’s examination of the line reveals the complex discernment of identity, through her elusive and patterned portrayal of the human form. 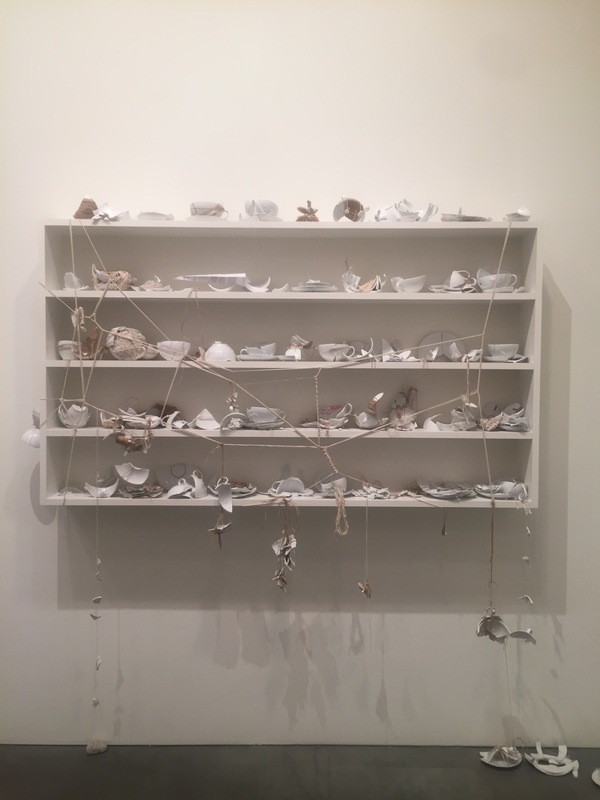 Displayed across two locations, Yoko Ono‘s THE RIVERBED incorporates audience participation into Stone Piece, Line Piece, and Mend Piece, as metaphors for female empowerment, healing and community. 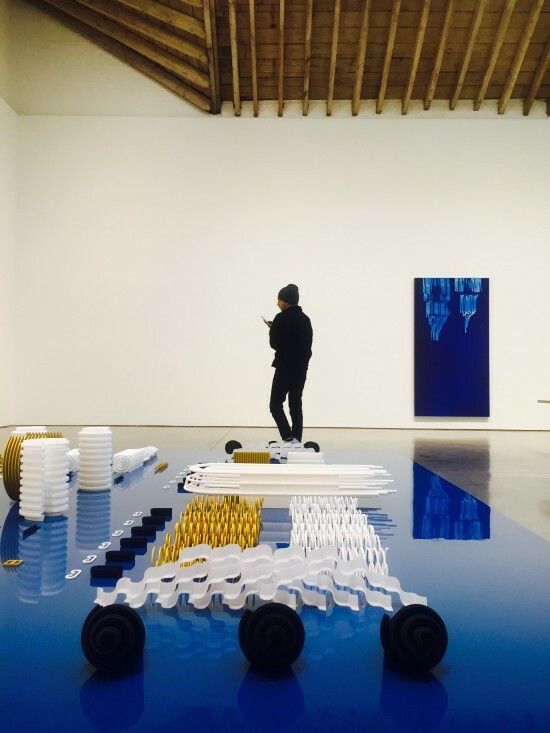 THE RIVERBED is on view at Andrea Rosen Gallery (December 11, 2015 – January 23, 2016) and Galerie Lelong (December 11, 2015- January 29, 2016). Line will take me to the furthest place in our planet by you with love. Mending will only be done by we who are connected in our spirits to each other. 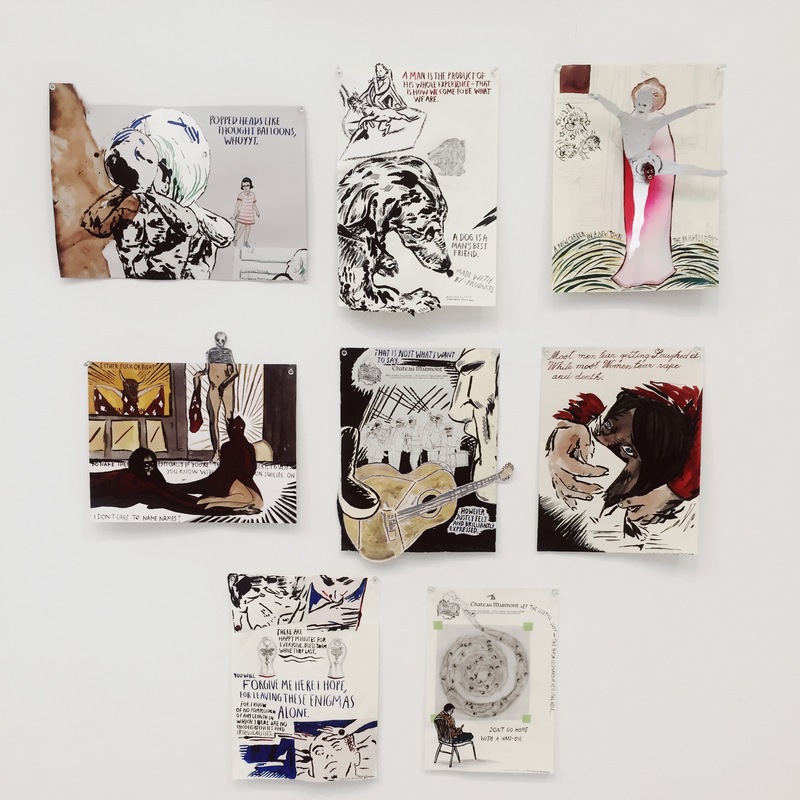 David Zwirner Gallery is currently showing a collaboration by Marcel Dzama and Raymond Pettibon of drawings on paper in Forgetting the Hand. The show will run from January 14, 2016- February 20, 2016. In the collaboration, a variation on the surrealist “Exquisite Corpse“, the two artists have developed a playful body of work that influences and connects their individual styles. Los Angeles-based Catherine Opie‘s conceptual and documentary photo series 700 Nimes Road are “indirect portraits” of the late Elizabeth Taylor. On view at Lehmann Maupin‘s 201 Chrystie Street Location, 700 Nimes Road features 50 photographs documenting Taylor’s home taken over the course of six months in 2010, just before the legendary star’s death. The show is on view from January 14 – February 20, 2016 and is accompanied by Portraits and Landscapes at the gallery’s Chelsea location on 536 W. 22nd Street. At Paula Cooper Gallery, Tauba Auerbach‘s Projective Instrument incorporates the artist’s practice with Claude Bragdon‘s Projective Ornament (1915), a system that draws four-dimensions onto a two-dimensional plane. Auerbach’s wavey paintings create helix and vortex-like structures in two dimensions, paired with glass sculptures and 3-d printed components that further explore the helix construction. 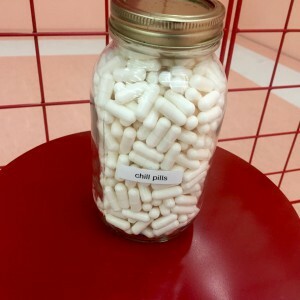 At the New Museum, Mexico City based Pia Camil‘s A Pot for a Latch transforms a sculptural installation into a place of exchange. 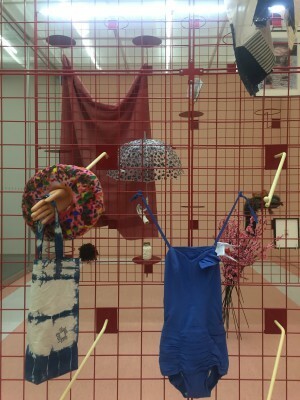 The artist invites viewers to bring objects “of power, of aesthetic interest, and of poignancy” to add onto Camil’s gridwall panels covered with hooks. The exchange reminds the viewer that the value of the objects is not monetary, but in the meaning they take on as they are incorporated into Camil’s work. This show is on view from January 13 – April 17, 2016 with exchange dates on every other Sunday.